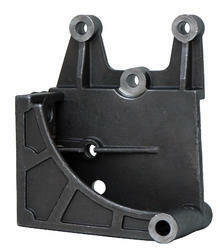 Providing you the best range of alternator bracket for ashok layland dost with effective & timely delivery. The wide range of Ashok Layland Dost Brake and other components offered by us is manufactured at par with the set industry standards. Our team works hard to manufacture a high quality array of products by using best raw materials procured from trusted sources of the industry. They are used to control the speed of the vehicle and are placed on wheels.